Are you allergic to planning and schedules like I am? I have been through a number of planners and calendars over the last decade, promising from one year to the next that I am going to “get my act together,” only to see my neat little plans unravel before my very eyes. It leaves a mom feeling totally discouraged. Can you relate? I tried a new planning method this year called Loop Scheduling and it has rocked my world. This is the schedule for the mom who hates schedules. 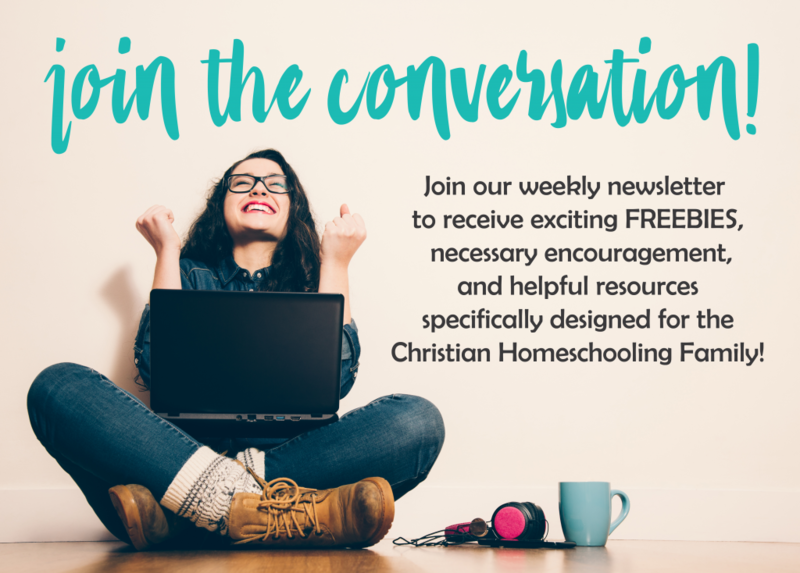 At the beginning of the 2017 homeschool year, I took a webinar from my good friend Tauna over at The Proverbial Homemaker. Tauna is a busy stay-at-home, work-from-home, homeschooling mom of six littles! In all the chaos of life she figured out how to maintain a unique type of schedule that took the pressure off, but still got things done around the home and in the homeschool room. When I heard she was sharing her wisdom, I just had to listen in! How awesome is that?! Now do you understand why I am so excited about it? I immediately signed up for her Loop Scheduling Workshop and learned how to tackle my to-do list in a way that wasn’t intimidating. Instead, the loop scheduling method just made sense. It really is a no-fuss, flexible method to getting more done with less frustration, and that’s what we all need, right? Loop Scheduling is the planning method to a happier and more organized you – if you are the type of gal, like me, who just can’t seem to fit it all in no matter how hard she tries! The Proverbial Homemaker’s Loop Scheduling Workshop will provide you with a series of step by step video lessons that walk you through how to create a loop schedule. With your purchase you will also be provided with a set of printables you can use again and again to create your loop schedules. You can see my FUN Day Friday Loop that I created above to use in our homeschool! I love the templates that are included in the workshop for download. This image includes just one of the chore chart templates that I received. The badge design was perfect for my son who loves policemen. Because my son is 6 years old and doesn’t read fluently yet, I decided to draw little pictures on his chore chart for him to help in directing him to the next task. He loved it! Using the chore loop templates provided, I created one for each of my four oldest children and hung them using clip boards in a central area to our home. This kept us all on task for the day. These resources alongside the videos and printable guide provided in the Loop Scheduling Workshop are really a practical toolkit to walk you through the process of creating and implementing your loop schedules in everyday life. Instead of being frustrated by strict schedules that fall apart, or wondering what to do when the activity for the assigned day of the week doesn’t get done, you’ll simply use your task loops and keep making progress! Even if you don’t feel like you quite have a grasp on the method of looping after you complete the video series or feel like you are seeing the progress you desire, you can join the Loop Schedule Workshop private support group on Facebook. Here you will find community and receive extra tips and encouragement to guide you through the process. Others share their loops and creative ideas, which I found really helpful in getting my own creative juices flowing. Are You Ready to Revolutionize Your Routine? If you are interested in joining me and many other moms in utilizing this Loop Scheduling method to organize your home and homeschool, I have a special limited time coupon code for you! Now through August 31, 2018 you can join The Proverbial Homemaker’s Loop Scheduling Workshop and Facebook Support Group for 20% OFF the regular price of $15 with the coupon code RRSystem! Get all the tools you need to get organized and stay organized in the Proverbial Homemaker’s Loop Scheduling Workshop. CLICK HERE to join the Loop Scheduling Workshop TODAY! An Elegant Gift Creation Kit to Bless your Sister in Christ! This sounds like a great way to get to all those things I never get to! Yes! It totally is. We have our history, science, and writing on a loop for our homeschool schedule because I can never fit it all into one day. I love this idea of loop scheduling and think it might be just what I need to stay on track. Thank you for offering the giveaway! That is so cool! You sound much further ahead than I was on my journey. You will love the toolkit. It is super helpful! I think this sounds like it might work for me! I always get side-tracked with our scheduling when the kids ask questions and want to know stuff that’s not on the schedule haha. Oh I totally get the questions issue! My near 8 year old is a TALKER and she is so curious. I love to encourage her curiosity but at the same time it does get us off track. Loop scheduling is definitely helpful in that area. I am so glad you found the review and giveaway helpful! I’ve read about/heard of loop scheduling and it seems like such a great idea… I really should give it a try. It might help alleviate some of the stress of scheduling and feeling perpetually behind. That’s exactly what it does. I always felt “perpetually behind” like you mentioned, but loop scheduling really helps you get something done if not more done because you are actually seeing more productivity. great ideas! I’d love to try it! Loop scheduling seems so practical. I love the idea of doing certain things on certain days, but I have never been able to get that to work! I think any new schedule takes some discipline, and I have definitely struggled with that. I just found this method to be the easiest because if you do “get behind” you literally just pick up on the loop where you are at and there’s no reworking anything … no scratch marks in the calendar or not knowing where to start again. I think this might work for us! I find the same tasks always seem to get bumped when life throws us curveballs. And life ALWAYS throws us a curveball. I’m trying to just expect it now rather than be surprised by it ? I’ve followed Tauna on Facebook for a while and hope to use it to get my housekeeping routine functional!!! Tauna really is the best! I’ve discovered a little bit about loop scheduling from the Read, Pray, Love Bible study kit, as that’s what’s in the prayer section. It has been quite effective for me for prayer, and I’d like to know more about using loop scheduling for our homeschool. That’s awesome! All of Tauna’s products are so helpful! I have a son who has ADHD and so needs some form of regularity. A schedule is not working for me, because although I have add, I can’t stick to a daily plan. I’m hoping this is something that will fit us both! I did Loop Scheduling years ago, when it first came out, and it worked well for us but I got lazy and we stopped. I think I need to get back to it and work it again. I look forward to finally finding a schedule that I can use! This intrigues me; I feel like we are always behind in something yet the idea of not doing all things every day is a bit scary. My brain is telling me this would make me even further behind even though so many people say it will help you NOT be behind. I’d be willing to give it a try though! I have been homeschooling for 15 years now and we have never tried loop scheduling. We have (somehow) all ready finished science & history for the year and want to try some new things this next semester and loop scheduling would be fun to add in to that mix. I would love to learn more about this! We are starting a new way of tracking completion of chores & may like to incorporate this method. I can see how it would be helpful to me personally as well. I can never keep up with everything that needs to get done! I’d love to learn more. I’m drowning in overwhelm at the current moment with 5 kids 6 and under. I have a terrible time keeping a schedule. Maybe this is what I’ve been looking for! I’ve actually kind of figured this concept out for myself in the past (out of necessity since I also am a homeschooling mom of 6) and then loved finding the term “Loop Scheduling” when Tauna shared about it in her blog once. But I still have so much trouble actually utilizing my lists in everyday spots. Or keeping them visible. Or not just putting out fires!! Learning more from her would be awesome!! I’m interested in finding out more about this type of scheduling. Most methods have not worked for me. I’m excited to try Loop Scheduling because it sounds like exactly what I need! I’ve heard of this concept before, but never implemented it even though I think it will really help. I volunteer a few different places, so my weeks are not typically the same and I have different days and times to accomplish tasks at home. I am looking forward to making changes and getting things accomplished this year, this sounds like something that can help me! This so me! I can’t wait to give this a try! I’ve heard of loop scheduling but haven’t tried yet. This is the perfect time to get more acquainted! Thanks! I have tried every planning method out there, regular monthly, weekly, daily planners, bullet journaling, etc. after a week maybe two it just becomes one more thing to do I typically just go back to a list, so this sounds like it is exactly what I need!! Amen to the scheduling allergy! This looks doable! I’ve never heard of this before but it sounds perfect for my more type B personality! I too like planners but rarely stick to the plans! I need to learn more about loop scheduling!